My Cup of Tea turned 1-year-old on Oct 2nd, 2012. I am so happy. I was busy with my mid-semester exams so i could not post on that day itself. And so i was craving for a Sunday when i could make this post :D. This one year journey has been awesome. I have discovered a new me via my blog. MCT is the first thing i mention as my hobbies (even in interviews) and it feels good to see that most people are interested in it (more so if they themselves are bloggers :)). This journey has been memorable because of the blogging friends i made all over the world. It feels great to imagine that we live in different parts of the world, have our own very busy lives, we all face challenges on the journey of life, yet we all connect with each other via blogging. Blogging brings me in a completely different world 🙂 Today i would like to thank each one of you who have read my posts, liked them or have been gracious enough to take some time out of their busy lives and commented on a post. By reading my post, you read a part of my life, my experiences, my journey. Each one of you has inspired me to keep going on and post something new and interesting. In one year i posted 45 posts including this one. I had imagined much more. But its ok 🙂 If you ever feel that i have forgotten MCT as i am not posting frequently, then you are wrong. I promise that atleast once in a day a thought of MCT passes my mind. Sometimes on a free day i sit down and read all your posts. My frequency of posting may have decreased due to my busy college life, but i can assure you that MCT will be a part of me, ALWAYS. I still remember that day very clearly. 2nd October 2011. Since a long time i had been thinking of having a blog. I had done a lot of research on whether to go for blogger or WordPress (finally i picked WordPress, lucky me :)). I just could not decide on a name for my blog. I wanted it to be perfect so that i never feel like changing it again. And so on 2nd October last year a Sunday 🙂 i finally decided to create my blog. When entering the name of blog suddenly it flashed “My Cup of Tea”. And that was it. I just love it soooo much since that day. Here is the link to my first blog post 🙂 My First Post ! 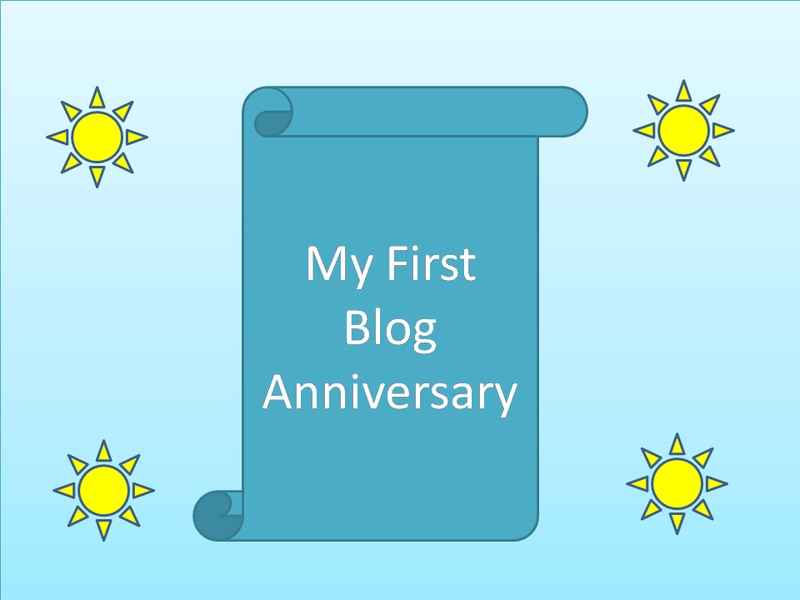 Once again a Very Happy First Blog Anniversary MCT !!! may be you can write a new post while a few people like us wait! 🙂 hope your study is going on well. My study is going on well. Published a new post today.